Ramatuelle Swim Shorts Bahamas. Feel like a fish in the water! Bahamas is made with Nylon Taslan fabric, that has undergone a water repellent threatment. 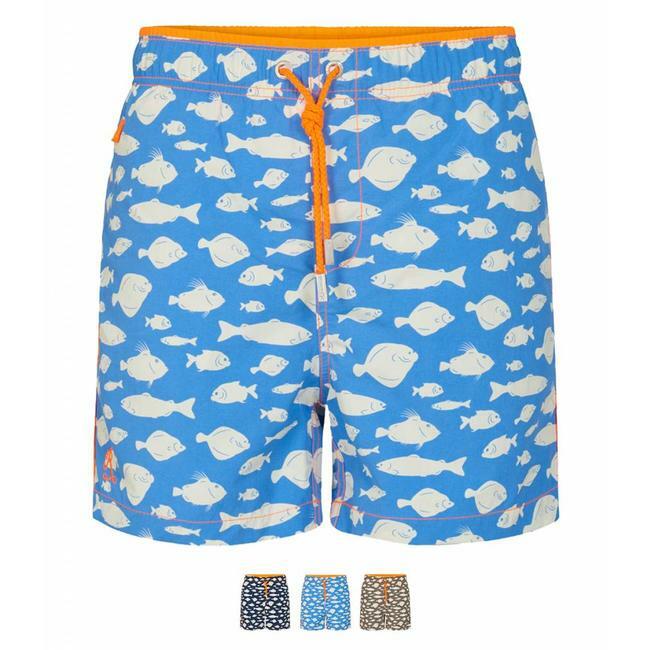 Read more..
Bahamas is a classic fit Swim Shorts, made in Nylon Taslan with a fish print. The elastic waistband and the drawcord provide perfect fitting. Available in Sand, Cornflower, Taupe and Navy. Sizes S t/m 4XL. Style Bahama's is also available in Boys sizes for the perfect father - son match! Ramatuelle Swim Shorts Bahamas. Feel like a fish in the wate..